(TNV) (Anchorage) 1995 - Current. Photos. Framable Color Prints and Posters. Digital Sharp Images. Aviation Gifts. Slide Shows. TransNorthern Aviation Beech (Raytheon) 99 Airliner N39TN (msn U-2) ANC (Stephen Tornblom). Image: 933413. 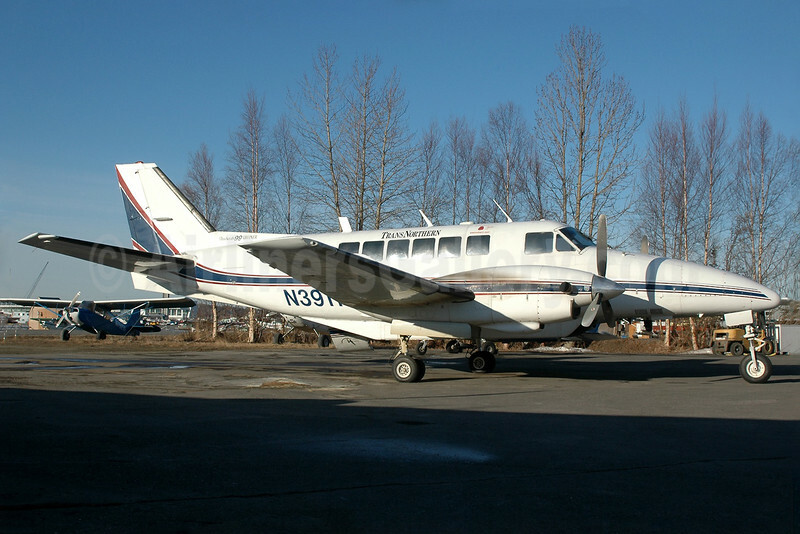 TransNorthern Aviation in 1995 began operations in Talkeetna, Alaska flying flight tours around and over the summit of Mt. McKinley in a Cessna Caravan. Andrea Armstrong and Alan Larson, both pilots, ran the Talkeetna operation. TransNorthern in 1999 moved to Anchorage, Alaska. Operating from their Lake Hood office and hangar, they began running passenger service in a Cessna Caravan and Piper Navajo between Kenai and Anchorage, eleven round trips per day. The company also flew to lodges and provided on-demand charter service in those aircraft as well as Beech 99s, Beech 18s, and a Cessna 402.